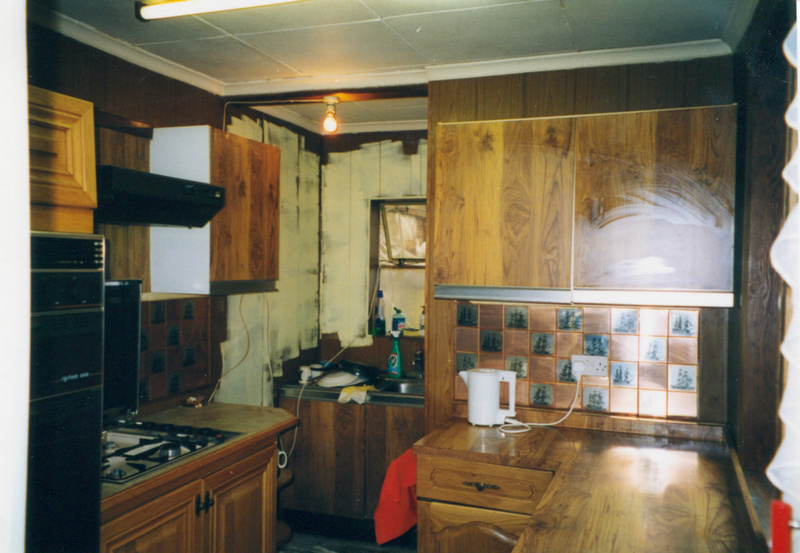 This kitchen needed a full back-to-brick rip out and reconfiguration. 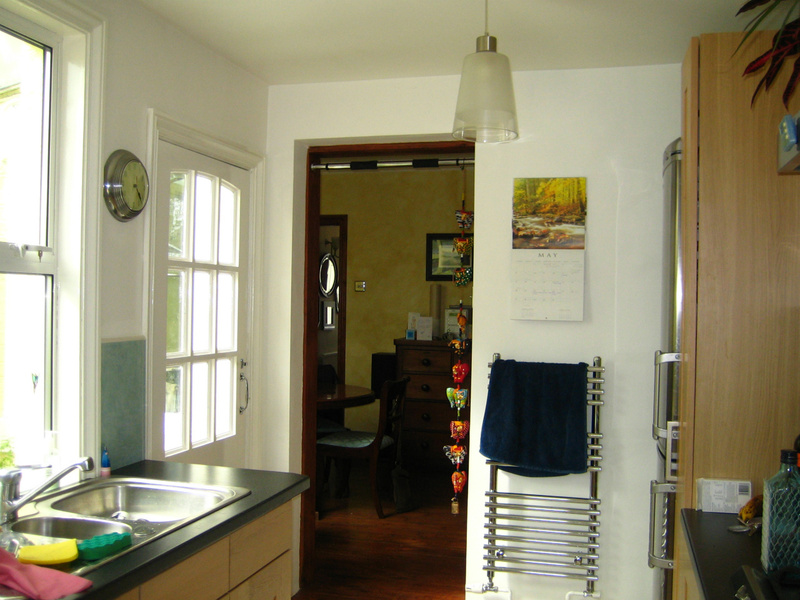 We removed the outside toilet and awkward lump to the right, creating more space in the room and a much more workable shape to the room. 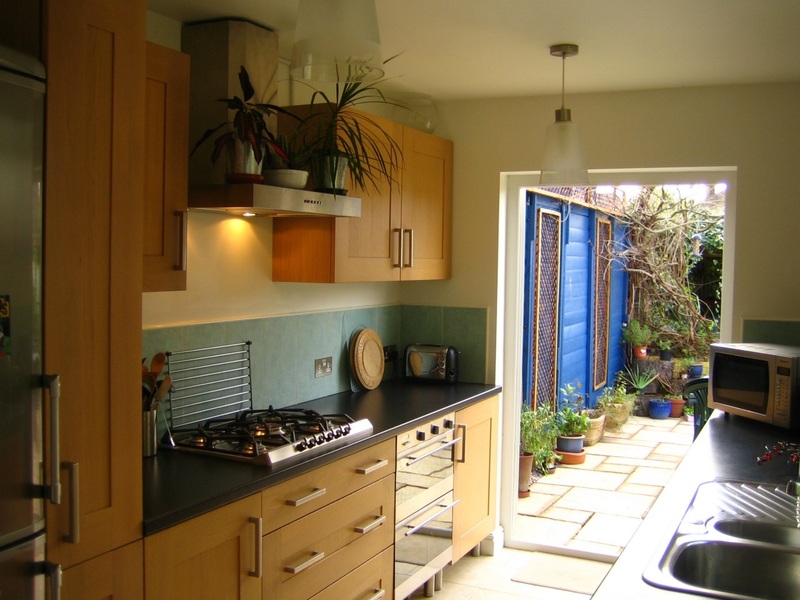 Adding French doors at the end of the-easy-to-use galley layout flooded the kitchen with light and created a lovely view out onto the courtyard garden. 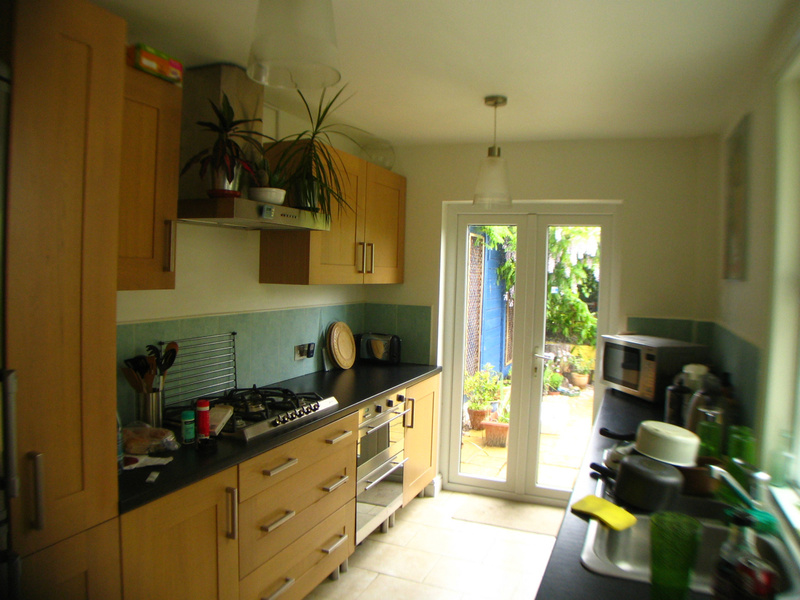 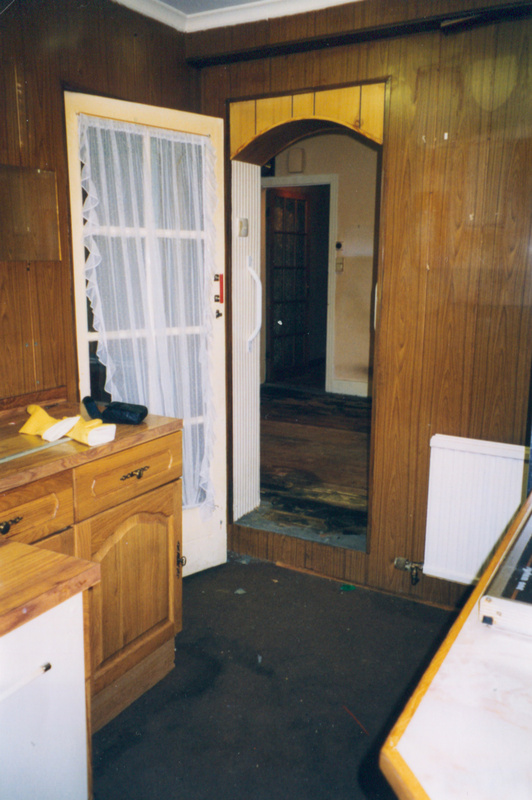 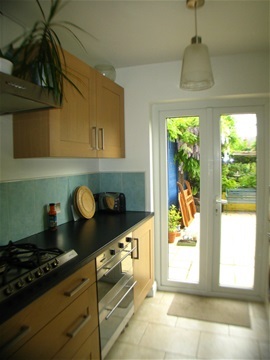 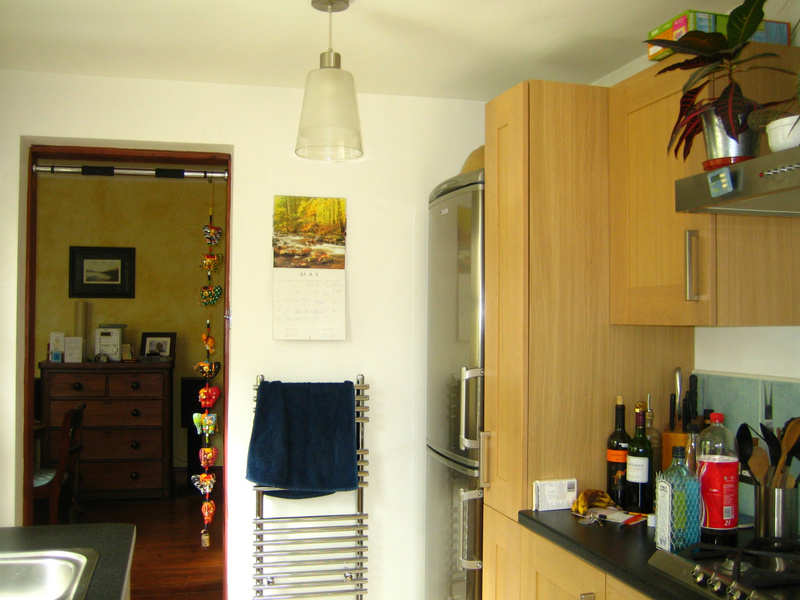 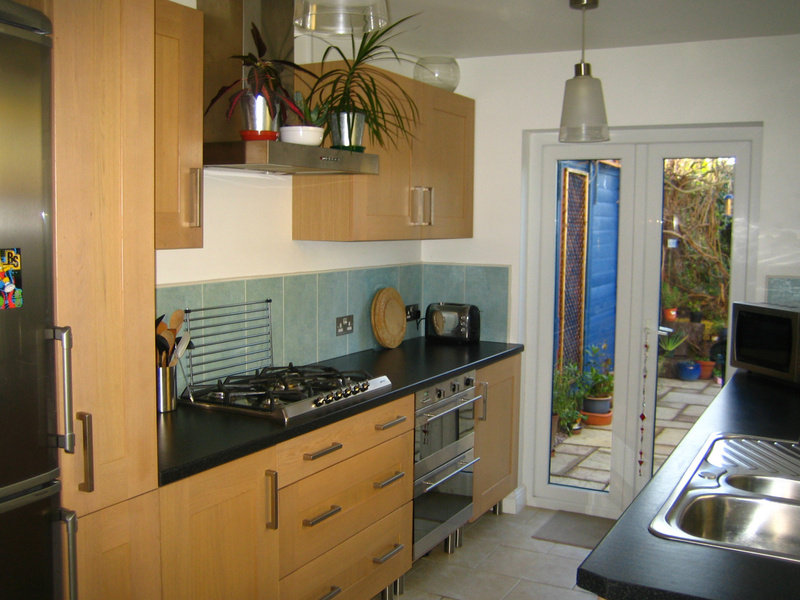 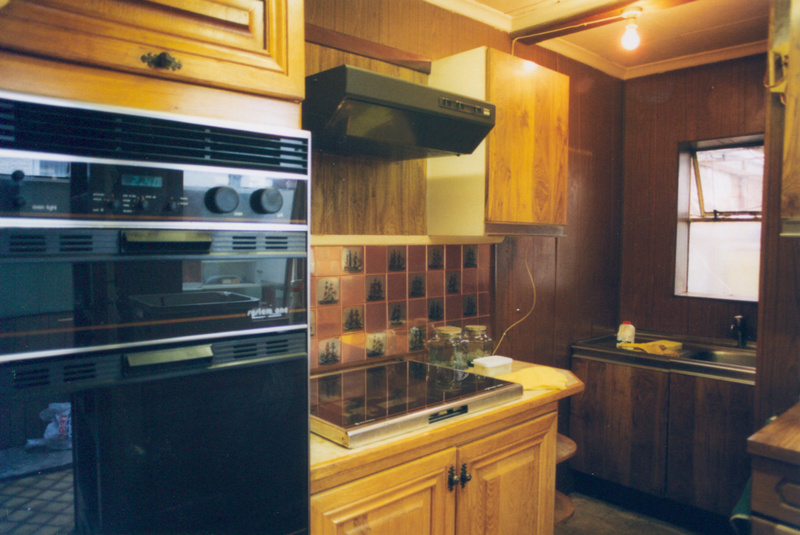 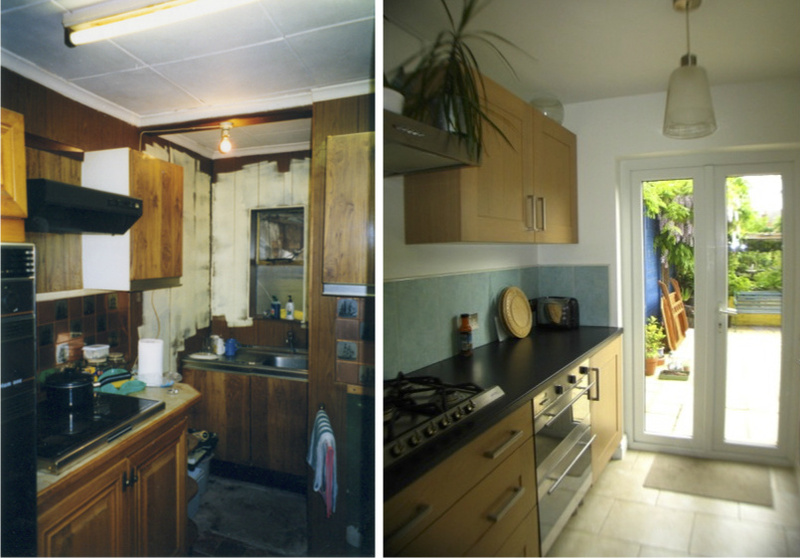 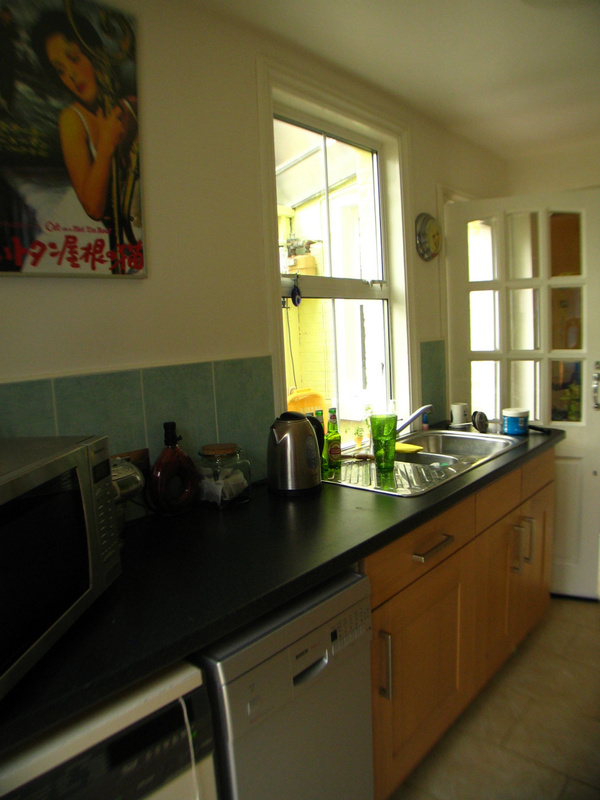 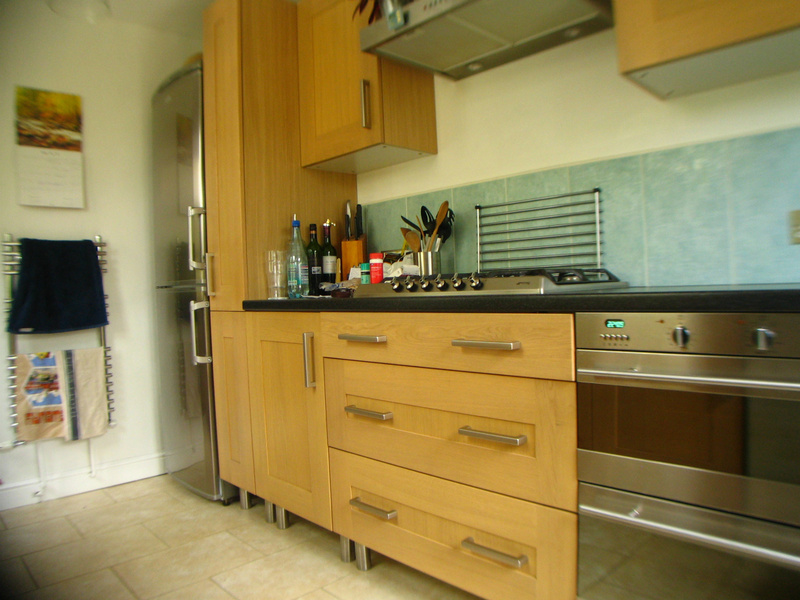 The 'before' and 'after' photos give you an idea of the kitchen transformation, and how no room is beyond hope!